If you're lucky and have the tools, you can make just anything from wood. Toys too! 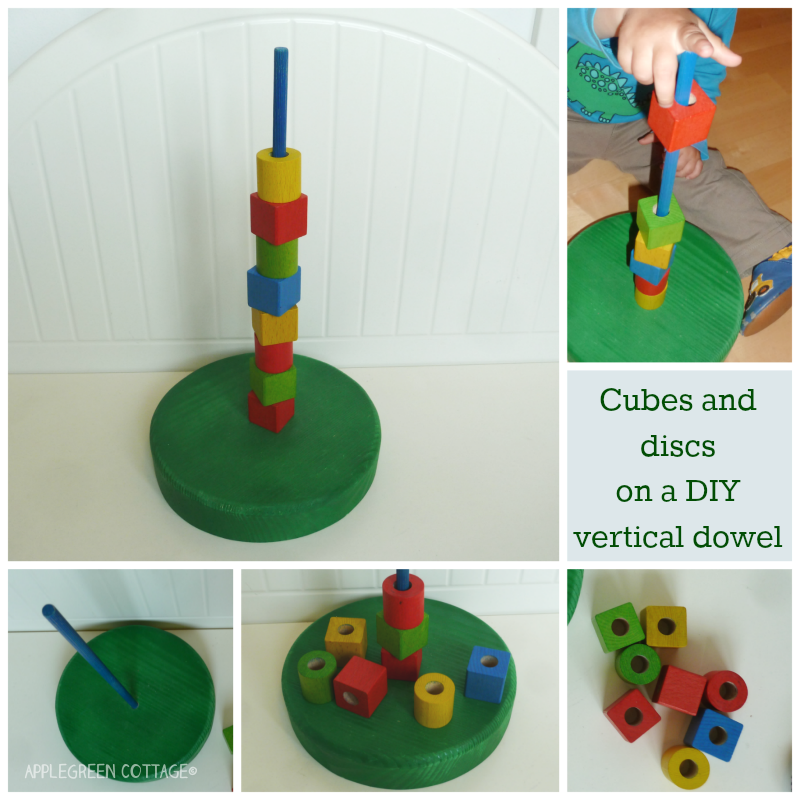 So M's uncle made this dowel and carved out the wooden base from raw wood, we painted it and drilled through wooden cubes and discs that the kid already had before. M started playing with the homemade stacking toy immediately. It was so much fun! 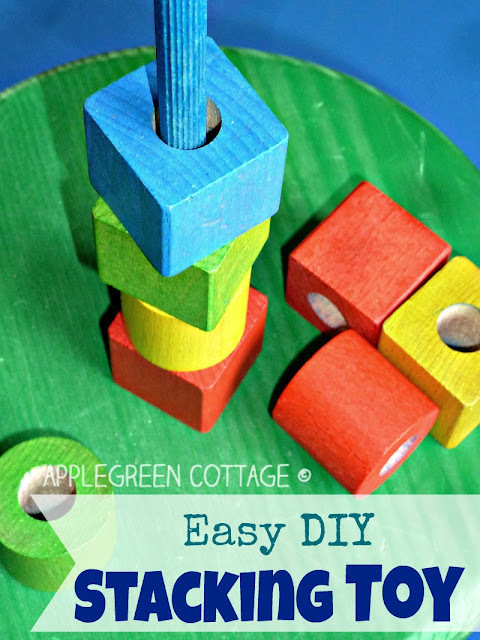 Check out the tutorial to see how easy it is to make this adorable stacking toy by yourself!